Climate-controlled storage often requires large amounts of energy. We’ll work with you to evaluate existing electrical systems, recommend upgrades and/or help you design new systems that are efficient, safe and cost effective. Exact Electric provides power, maintenance and industrial electrical services for all your equipment, network and switching needs. Whether your electrical networks are state-of-the-art or decades old, we can repair, maintain or improve your service to insure that your operations are energy efficient and offline only when you want them to be! Are you rewiring or renovating a warehouse? Installing, maintaining or upgrading your HVAC or power system? Adding power back up systems? Exact Electric can help you determine and implement the most energy efficient lighting and control options available for your needs. Our clients trust us with our prompt service that adheres to high standards and minimizes the impact of changes. We know that your business needs to stay up and running, and any interruption in service is a cost to your productivity. Exact Electric will inspect your electrical system to ensure that it runs smoothly and protect your business operations when you remodel. We provide personal and professional care that keeps commercial customers coming back, because they know we do the job correctly and efficiently the first time. Exact Electric is fully equipped to meet your communications and data storage needs. 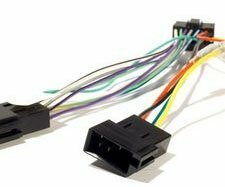 Whether you want to pre-wire a home or commercial structure or retrofit an existing one, we can install your cable, phone or computer wiring. If you need surge protection for your valuable data and communications systems, we are trained to install the proper equipment that will protect you from storm power surges and brown outs. Exact Electric is fully licensed and bonded company that can manage your power distribution needs. Whether your service is delivered with overhead wires or underground networks, we can assess the voltage your business requires and connect your system to the power grid, ensuring that you have a safe and reliable operation. 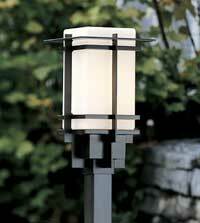 Security lighting is a practical and efficient deterrent to crime. We can help you make the right choice for lighting that will secure the interior or exterior of your commercial building and install the system that gives you the best protection. From remote controlled lights to timer-activated systems to integrated electronics, we can provide a security lighting system that fits your needs. Exact Electric can provide tenant improvement services from lighting, communications and access control, to full power installations or upgrades. Whether you’re the owner, broker or manager of a commercial property, we can help with your electrical improvements. Our commercial clients trust us with our prompt service that adheres to high standards and minimizes the impact of changes. 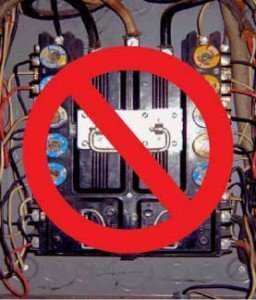 Electrical problems can be an inconvenience, but they can also present a safety and fire hazard. Exact Electric has the training, tools and experience to handle your problem from trouble shooting to diagnosis to professional repair. We can solve your problem and ensure that your electrical service is safe and reliable. Is anything, like loose or poorly installed carpet, blocking or restricting airflow to the unit? Have you vacuumed the heating element recently? An accumulation of dust, dirt or foreign objects on the element can affect heat output. 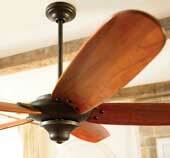 Wiring a ceiling fan is similar to wiring a light fixture and is a job many homeowners feel comfortable doing. Make sure all wire connections are made securely with the proper size wire nuts and that no copper strands are showing and most importantly make sure that the junction box is a UL listed fan rated box capable of handling the weight of the fan. Most house wiring should be 14 or 12 gauge solid copper wire attached to a 15 or 20 amp 120vAC circuit respectively. If your DIY skills don’t include replacing or updating ceiling fans or you would like a ceiling fan and junction box installed call Exact Electric at (206) 434-6915. Keep your feet warm all year around with an electric warming mat. 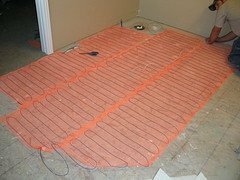 Exact Electric can provide power for and connect a floor heating system for tile, stone, laminate and floating wood floors. 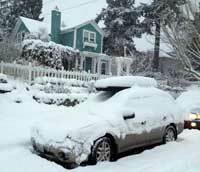 Every year the Pacific Northwest experiences at least one good storm that leaves parts of King, Pierce and Snohomish County without power for days. Don’t be sitting in the dark again! Exact Electric installs generators and manual transfer switches, automatic transfer switches and panel interlock kits. 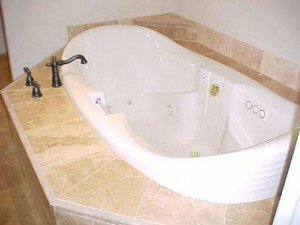 Exact Electric can help make your plans for a kitchen, bathroom or basement remodel or addition a reality. Their extensive experience with older home remodels ensures all new wiring, lighting and outlets safely integrate into your existing electrical system and comply with National Electrical Code (NEC) and local code guidelines. When mixing water and electricity it’s important to hire an electrician who knows the code. 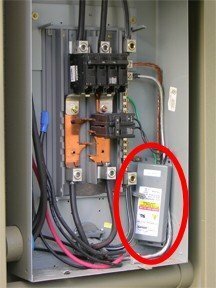 Exact Electric can safely run power to your hot tub and install a ground-fault circuit interrupter (GFCI) Disconnect Panel in compliance with National Electrical Code (NEC) and local code guidelines. Knob and Tube wiring can still be found in homes around the Puget Sound. It carries less electrical current than today’s standard wiring and may not meet the load requirement demands of your appliances and electronics. Exact Electric does outlet and light switch additions and replacements. They ensure safe integration of new outlets and switches into your existing electrical system in compliance with National Electrical Code (NEC) and local code guidelines. If you live in an older home you may want to consider replacing your outlets with ground-fault circuit interrupter (GFCI) outlets. The NEC calls for GFCIs in wet and damp locations like kitchens, bathrooms, laundry rooms, garages and unfinished basements. Whether you’re buying a new home or maintaining one, Exact Electric will check to insure wiring and connections are safe and your electrical system is properly grounded. We’ll help you assess risks, prioritize needed repairs, and provide an estimate. How many smoke detectors do you have in your home? Where are they located? Electrical code requirements have changed. The minimum standard, as stated in the National Fire Prevention Association’s National Fire Alarm Code (NFPA 72), calls for interconnected smoke detectors on every level of the house, including the basement and outside and inside every bedroom. Exact Electric offers a number of smoke detector solutions including hard-wired and wireless options. Are your speakers delivering the quality you want or are you installing a new sound or theatre system in your home? 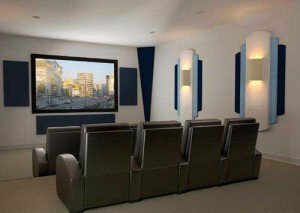 Exact Electric can provide professional installation to enhance the audio quality of your sound system. Most homeowners take precautions to protect their electronics and office equipment with point-of-use protectors. Many times they don’t realize their appliances are also at risk and need protection too. A Whole House Surge Protector or suppressor is hard-wired to your service panel and protects appliances against surge and voltage spikes. 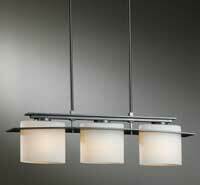 Do your lights flicker regularly? When you use two appliances in the same room does the circuit breaker trip? Do you have light switches or outlets that have never worked correctly? Do you spend more time at your electrical panel then you’d like? 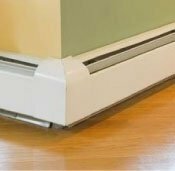 Wall heaters are safer than plug-in portable heaters and can provide cost efficient zonal heating for rooms you use the most. Exact Electric can design and install the right system for the power draws and run times your business demands. From an uninterruptible power supply (UPS) to an inverter/charger, we can make sure your business is always up and running. With interest in residential and commercial solar installations, there’s a growing need for maintenance and upkeep. Exact Electric has education in solar design and installation and experience trouble-shooting problems with solar panels. We’d love to help you reduce your energy costs! For additional information, email us or call us at (206) 434-6915.